With the acquisition of IBM x86 server business and Motorola phones, Lenovo needed to reposition themselves with enterprises as now offering end-to-end IT solutions (from mobiles to enterprise servers and storage). They wanted to communicate this with a face-to-face meeting and also generate new enterprise sales leads for the new System X product. 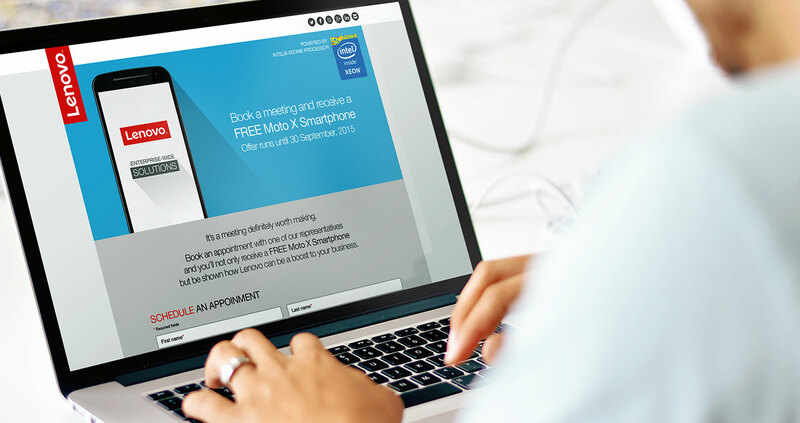 With so much to communicate we had to find a way to get businesses to agree to a face to face meeting – helping Lenovo explain their offer in greater detail. 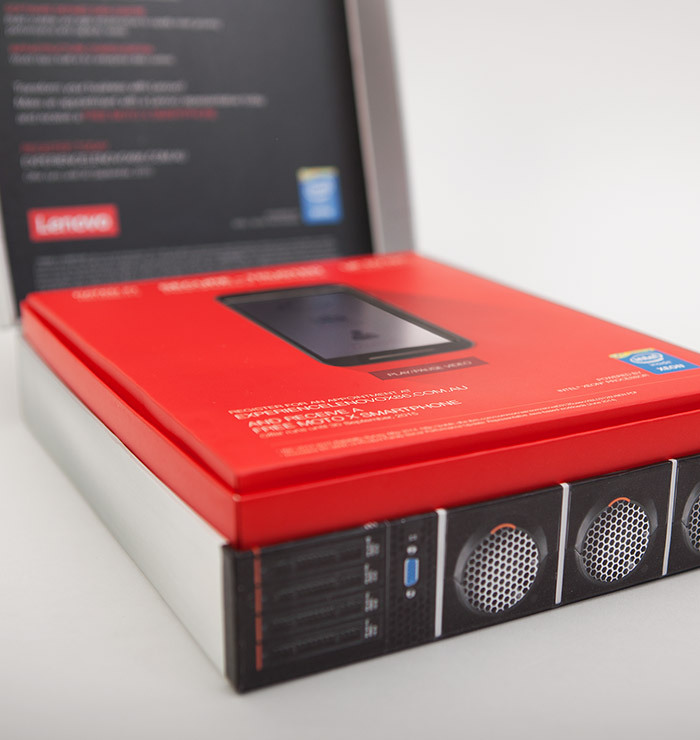 We decided to lead the campaign with an introduction to Lenovo’s new enterprise server product, System X. 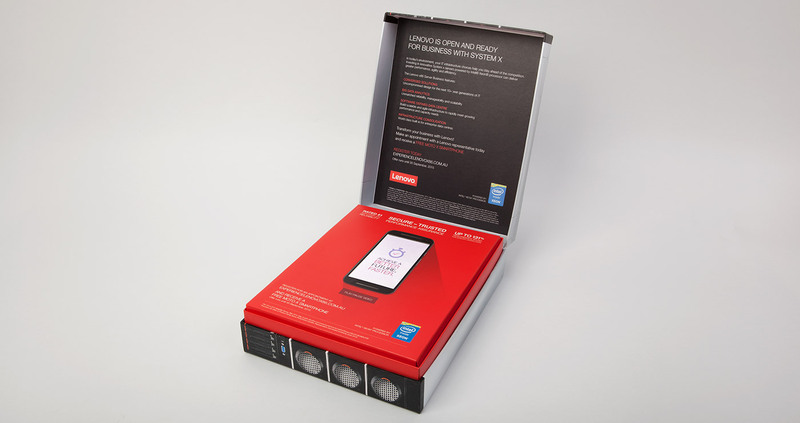 To get past gatekeepers we devised a Direct Mail piece that was innovative, memorable, and had perceived value: a custom box shaped and printed to look like a System X server. 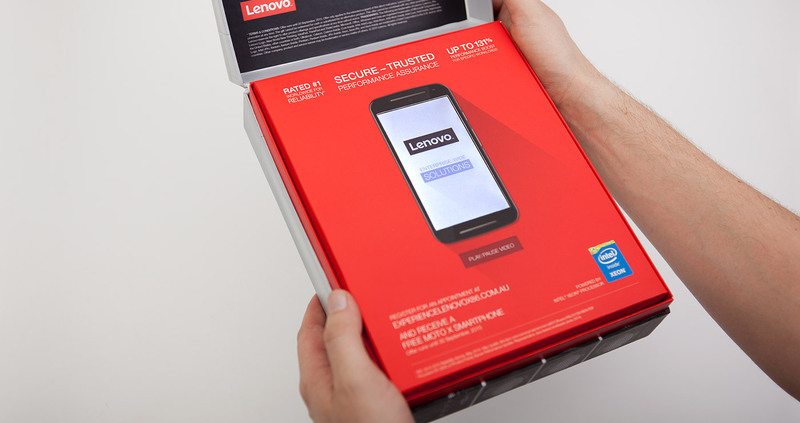 When opened, an embedded video player shaped like a Motorola phone automatically played a video communicating the benefit of the offer. It drove them to a landing page where they could book a meeting. To incentivise them to contact Lenovo, and reinforce the Motorola message, they would receive a free Motorola Moto X smartphone at the meeting. Recipients who didn’t book a meeting on the landing page were followed up with a call to gauge their interest. 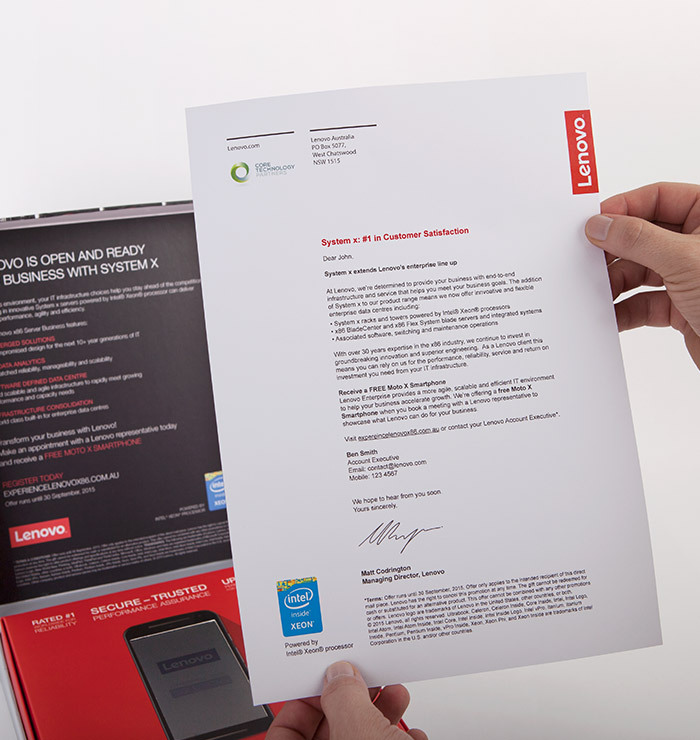 These results were not available to us, but feedback from the Lenovo team was extremely positive.